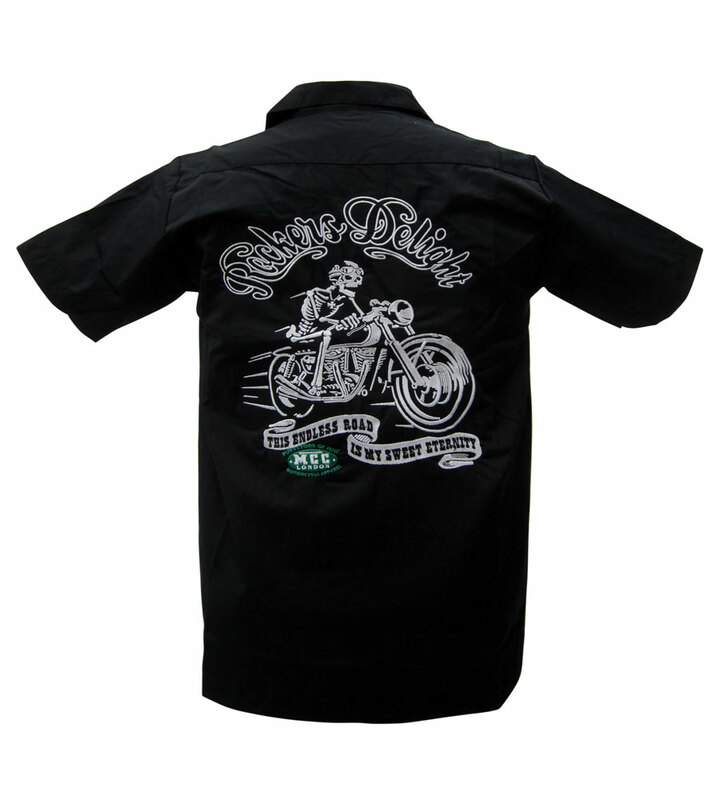 Scary or just awesomely rocking? 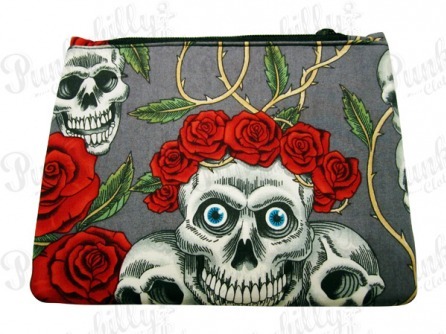 Both ways, this handy pouch with the classic rock print of skulls and roses is heavenly piece. 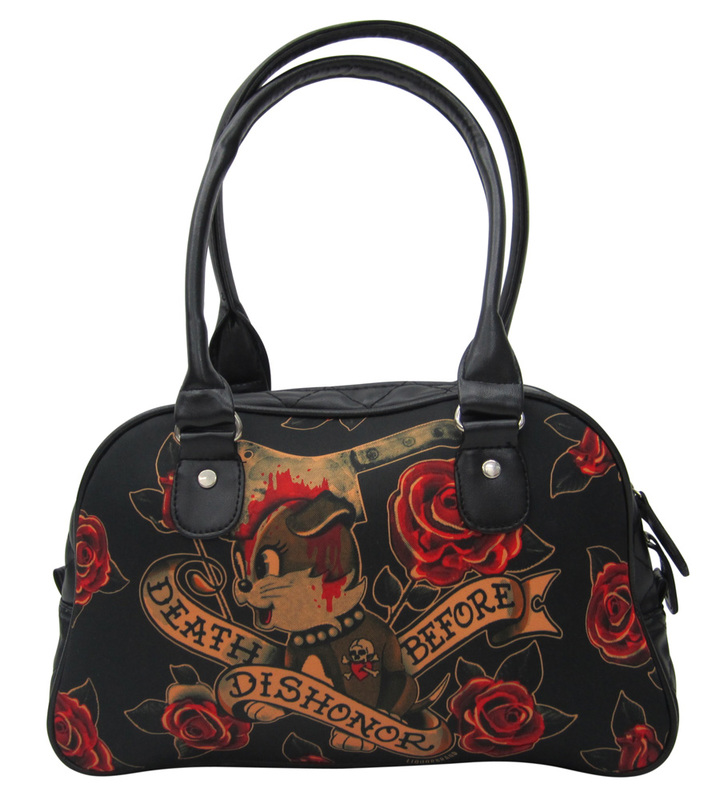 Gray, but with colorful rockabilly tattoos, it is something irresistible for the punk rock oriented ladies. 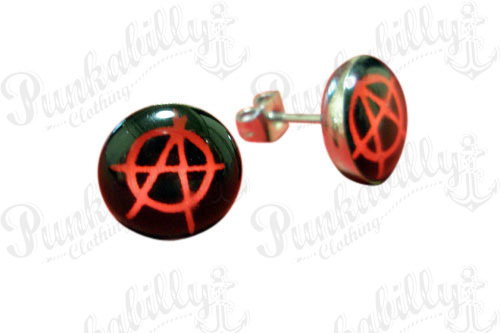 It's not fashion; it's the breath of rebellion.